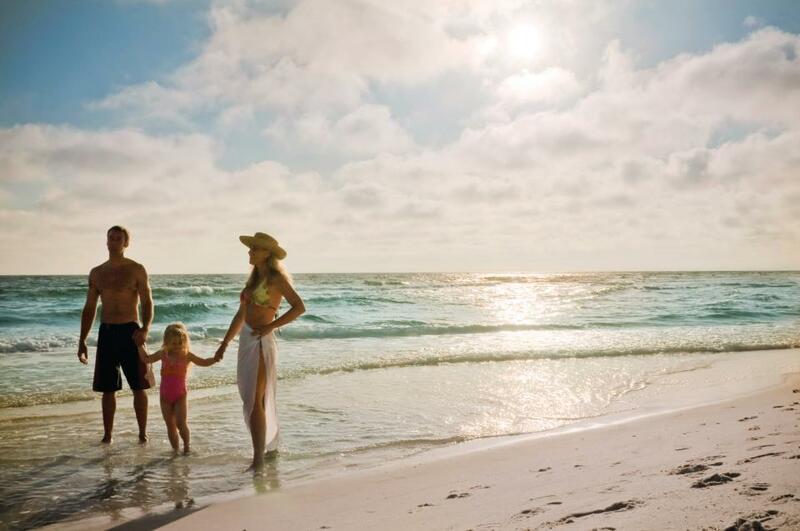 Florida is a haven for vacationing with families! If you have small kids, then you must take them to Florida. After all, there are wild rides, stunning beaches and spectacular sunsets here. It is no wonder to see Florida listed as Number One dream holiday spot for children. This is a state which is home to Universal Orlando Resort, Walt Disney World, Busch Gardens, Kennedy Space Center and many other thrilling theme parks. One can imagine sandcastle-building, fishing or relaxing along the miles of coastline and indulge in great family fun. Start planning your trip and rent a villa in Florida for great fun and excitement! The Sunshine State is a prime vacation territory and filled with diverse destinations. With a vast number of attractions and thousands of miles of shoreline, it sure is not easy to pick the top holiday spots for family fun. However, based on travel expert reviews and feedback from holidaymakers, here are our picks for the top five family hot spots in Florida! Walt Disney World should be at the top of the list. After all, it is the most sought-after destination for families in Florida. More than 40 million guests head to the Magic Kingdom every year. There are plenty of lodging options, and one can easily get budget-friendly locations and hotels that offer fun activities for kids. Major attractions in the Disney World include Pirates Dinner Adventure with sword fights, acrobatics, mermaids, monsters, and breathtaking stunts! Explore the Secrets of the Deep and keep your eye out for the evil pirate king. Disney’s BoardWalk Inn is a re-creation of a traditional East Coast boardwalk with classic arcade games, street performers, sweets and treats, bike rentals and lots more. The kids will simple Sanibel Island! The Gulf Coast island is the star attraction and a paradise for the little adventurers who love looking for seashells and making sand castles. Have fun at Sanibel Thriller high-speed catamaran and watch the Dolphins leap in the spray. The whole family can pedal, hike or drive on the Bike paths throughout. Explore the Ding” Darling National Wildlife Refuge to spot wildlife such as spoonbills, gators and other residents. Sanibel is a wonderful place to explore on bike, and the whole family can join in the fun. Take the 90-minute excursion to spot bottlenose dolphins leaping in and out of the waters of Pine Island Sound. This is certainly a bonus for families. If your children love nature, then go for the kayak trips in the J. N. “Ding” Darling National Wildlife Refuge. St. Augustine is another of best places to visit in Florid. The city itself is beautiful, and the ocean and the surrounding attractions add to the fun. Augustine Alligator Farm is a must visit, and you would be glad that you visited. One can spend the whole day here, and the kids will love looking at the vast collection of alligators, caimans, and crocodiles. It is fun to watch the mother albino alligator with her albino baby alligators. There are hundreds of alligators in the Alligator Swamp, and in the Alligator Lagoon, one can watch the staff feed the large alligators. When in St. Augustine, do not miss out on the Alligator Farm. Your family would also love playing golf at the Fiesta Falls Miniature Golf. Potters Wax Museum is a lot more fun and offers a much more traditional, authentic feel with hundreds of wax figures of celebrities and historical men and women. Ripley’s Believe It or Not is another must do for the whole family. You will be surprised to find the blend of history with a legend at the Fountain of Youth Archaeological Park. The kids will be fascinated with all the peacocks! Head towards the Amelia Island which is about half an hour drive from Jacksonville International Airport. The uncrowded spot is just perfect for families who want to kick back and enjoy a relaxed and low-key vacation on the beach. Amelia Island and its peaceful beaches are popular with families from Georgia and southern Florida. Enjoy popular activities with your children like fishing, horseback riding, geocaching, and eco-tours. The Pirate playground is not very far away from the Main Beach, and there is art, nature, and imagination here to stimulate the physical abilities of your little ones. There are restrooms and picnic tables where you can sit and relax. Explore Amelia Island Lighthouse chi is located on the island’s tallest bluff and is the oldest lighthouse of the state. Other points of interest include The Nature Centre open and Omni Amelia Island Plantation. If you are looking for more fun and less expensive option, then Legoland is the place for you and your family. As one of the most favorite Florida attractions, you are in for an awesome experience in the park. Most of the rides are adjusted towards younger kids, and they can have some fantastic fun and loads of other activities. It is a great family theme park with huge white-knuckle rides and roller coasters that are perfectly suitable for younger children. The Lego Test Track roller coaster, Coastosaurus, Flight School and the Dragon ride are popular. Legoland retains its historic garden areas and is a creative haven where the whole family can have fun for hours. There’s still plenty of action and fun for the little ones and the tiny thrill seekers. The excellent range of rides and plenty of opportunities to sit and enjoy shows makes it just perfect for families with small kids!